North Hollywood, CA, October 06, 2017 –(PR.com)– The indie feature film, Trouble Is My Business, is a unique 1940's period pulp, neo-noir thriller set in 1940's Los Angeles that appropriately enough makes it's World Premiere at The 2017 Valley Film Festival screening at the Laemmle NoHo7 on Saturday October 28 at 8:00 PM. The film is a love letter from film noir fan Thomas Konkle with this movie an unmistakably personal work. Konkle balances the textured, stylized imagery of genre with a witty, dark script co-written by creative partners Thomas Konkle and Brittney Powell. 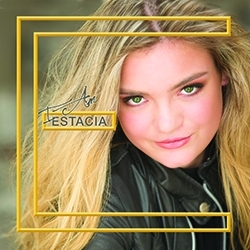 Brittney is also the lead actress in the film. It is a unique collaboration with a woman co-writing a film noir script and with both writers being professional actors then performing in the film as well. It promises to be a fun treat for indie film fans, especially film noir cinema aficionados. With a color B-movie noir visual style and great performances from the actors, it tells the story of alienated private detective Roland Drake who falls for two beautiful Montemar sisters. One woman is dead and the other wants to kill him. All the while, Roland Drake and Jennifer Montemar are confronted by murderous conspiracies, lurid affairs, false suspicions and accusations of crime by police detective Barry Tate who controls the city even as Drake's ex-partner, Lew MacDonald closes in for the kill. The in noir tradition the story climaxes in visually complex, industrial warehouse. With evergreen themes of information versus things, corrupt cops ruling a city where everything should be sunny, but the smog of moral ambiguity creates a fog, a haze that permeates not just the lungs, but the psyches. The movie is a dark tale of love and betrayal, told in the classic style of film noir. The production was shot over several months and post was over a year. The amazing crew made the film happen with their technical and artistic contributions adding so much motivated by a love of film and shared friendships. The musical score by Hayden Clement and Thomas Chase is an evocative, lush old-school soundtrack. The complete professional sound work of Trip Brock and his team at Monkeyland Audio elevated the microbudget film surround mix with layers of just the right taste and touches to the audio experience. 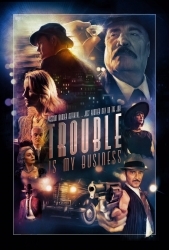 “Trouble Is My Business is a new feature film noir, a dark, doomed romance filled with mystery, murder and betrayal. It stars Brittney Powell, Vernon Wells, Thomas Konkle, Steve Tom, Jordana Capra, David Beeler, Ben Pace, as part of a 30+ cast in a microbudget, story driven, visual effects heavy film directed by Thomas Konkle. Konkle executive produced with visual effects wizard Michael J Smith through their production company, Lumen Actus based in Burbank, California. The Valley Film Festival World Premiere of Trouble is My Business is at the Laemmle NoHo7 located at 5240 Lankershim Boulevard, Los Angeles, CA 91601 October 28th at 8pm. Online tickets can be purchased through Eventbrite now for Trouble Is My Business in a theater screening event that includes the fantastic short films Rope Trick directed by Kirk Ryde and ABCs directed by CJ Cobarruvias. Trouble Is My Business will be available for sale and rental worldwide in April of 2018. The motion picture from the Lumen Actus team looks to be a treat for mystery thriller fans and especially film noir and neo-noir movie lovers. All audiences with find Trouble Is My Business is a good time watching something a little different with doomed romance, greed, corruption, murder and betrayal with a dash of hardboiled repartee, sexual innuendo and self-reflexive humor thrown in as well. Superbugs! 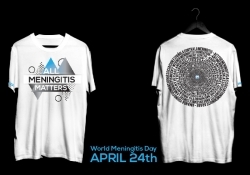 World Meningitis Day, April 24th, 2018.